Do EHRs Improve the Quality of Care for Patients? The adoption of Electronic Health Records (EHRs) is growing at an exponential rate. According to the Centers for Disease Control and Preventions’ National Center for Health Statistics (NCHS) survey of 2011 EHR adoption trends show that 55% of physician offices used EHRs in 2011. But does using one of these systems actually improve the quality of care for patients or is it just a way for physicians to increase practice efficiencies and receive financial bonuses from the government? The NCHS study reveals that 75% of physicians using an EHR system reported it improved care for their patients. But how exactly? 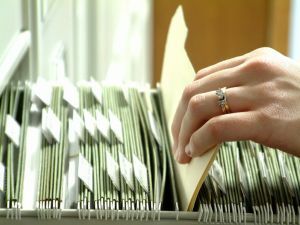 First off, EHRs provide patients with a singular, comprehensive file. Those with multiple providers can rest assured that each of their doctors have instant access to critical information like medication alerts, allergies and existing medical problems. Patient care is also enhanced by EHRs 24/7 access. Not only can patients keep tabs on their own health information, but their entire family’s as well. And with all the data right there in front of them, if something seems unusual, they can ask you about it – which puts to rest the idea that technology would lessen the doctor-patient relationship. What about privacy? Patients should consider EHRs no more risky than using online banking. To protect patient privacy, the Department of Health and Human Services started requiring providers to report all potential privacy breaches of personal health information whether accidental or deliberate. Lastly, your patients will enjoy a safer treatment experience. EHRs include information from health researchers such as what treatments work best, which you can then apply to your appropriate patients.